Senate Majority Leader Mitch McConnell finishes speaking to reporters at the Capitol in Washington in October. 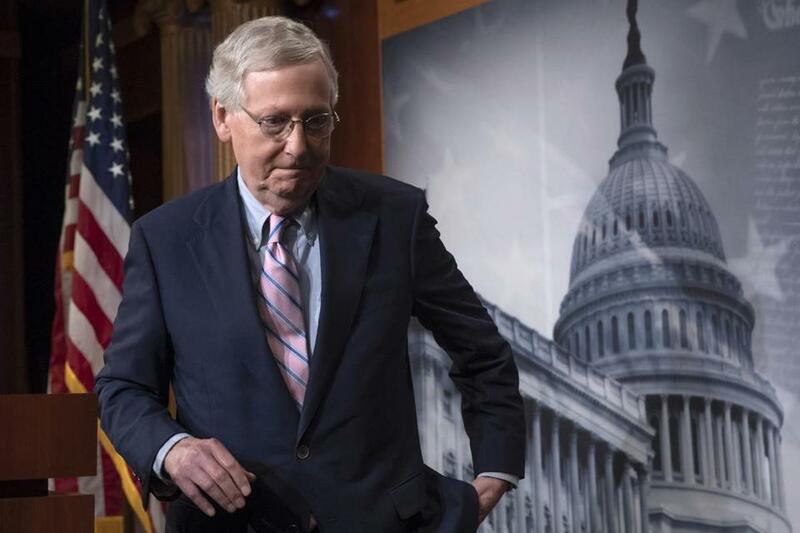 Senate majority leader Mitch McConnell signed off on the final version of the 2018 Farm Bill on Monday . . . and he used a pen made of marijuana’s non-psychoactive cousin, hemp, to do so. Votes are anticipated on the final Farm Bill legislation in the House and Senate in the coming days.